Krystal Perkins is a marketing expert currently working for Telkomtelstra in Jakarta, Indonesia. After working in various leadership roles over the course of her career, she has been able to distinguish herself as strategic businesswoman capable of implementing multi-layer changes into the company. Presently, most of her work revolves around digital marketing and innovation that helps sell more products in a cost-efficient manner. 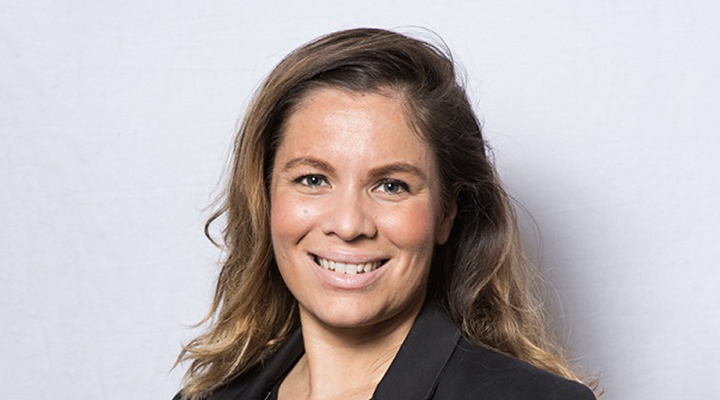 Although Krystal Perkins has found her talents in the spheres of marketing, she has a plethora of experience in other fields from her days with companies like NITV Ltd. and Telstra. Her experience exposed her to an extensive amount of work that dealt with corporate affairs and helped her develop a well-rounded perspective on the majority of common issues that can affect organization’s day-to-day operations. Adding this type of experience to her bachelor’s degree from the University of Melbourne, where she majored in communications and media studies, makes her resume more than worthy of praise. Besides the aforementioned academic background, Krystal Perkins is currently enrolled in an MBA program at the University of New South Wales. With a focus on technology management, her studies in this area aim to help her keep up with the fast-paced market changes and modernization. Ultimately, although she has had great success as a start-up investor, marketing expert, and strategic leader, her underlying passion is to pursue a role in politics and help bring changes that will positively affect thousands of people. I started my career with Telstra where I was a manager of communications for a little over a year and a half. After getting some exposure to the work, I soon realized that my skills would be much better utilized in the marketing department. Ever since then, I have been working in various marketing sectors of different companies, except for a quick 19-month digression that I made to work as a business advisor from 2016 to 2017. By fulfilling our predetermined objectives and reaching results that closely mirror the forecasts. Or, in simple terms, by leading marketing campaigns that help the company reach revenue levels that have been predicted. Although I had a salary from the moment that I started working, it was probably not until the third year that I could say my compensation was exceeding my costs of living. Until that point, I was mostly relying on some nifty budgeting skills that enabled me to stay afloat. The biggest doubt in my career happened when I worked as a manager of communications. I graduated with a degree in communications and this seemed like a natural next step in my career. Soon, however, I realized that I have very little interest in the field and I doubted the longevity of my work. Hence why I switched to marketing! I worked with a superior who had a long-term client. After a while, that superior was relocated and left the office that I worked in. Consequently, I had to take full responsibility for that client since there were no other team members who interacted with them in the past. Online platforms have helped me develop my client base enormously. Turning down some business opportunities due to time and location restrictions. I am currently working in Indonesia and I had to pass on some great offers that would require me to move. Adaptability is probably the most important trait that has helped me have a fruitful career. Interestingly, many of my peers were unable to transition from one sector to another. In my case, that is something that came very easy to me when I left communications to join marketing. Getting an offer to work as a marketing vice president for Telkomtelstra has been the highlight of my career. It rewarded all of my efforts and long hours that have been dedicated to the field of marketing over the past 15 years. I am hoping to come up with innovative methods that will help my company increase its market share. This is also something that I am very excited about since it will involve many interesting projects like innovative branding campaigns, customer interactions, and market investigations. “The Thank You Economy” by Gary Vaynerchuk and “The Referral Engine: Teaching Your Business to Market Itself” by John Jantsch. Those have helped me develop some of the skills that have been very relevant to my field of work. I had to invest in a new phone somewhat recently. I generally have no issues upgrading, yet I had been refusing to change my old phone for a long time now due to important files that I had. It reached a point where the software updates were no longer supported by my old device. Nonetheless, the entire process was painless and I have been a lot more efficient since making the upgrade.